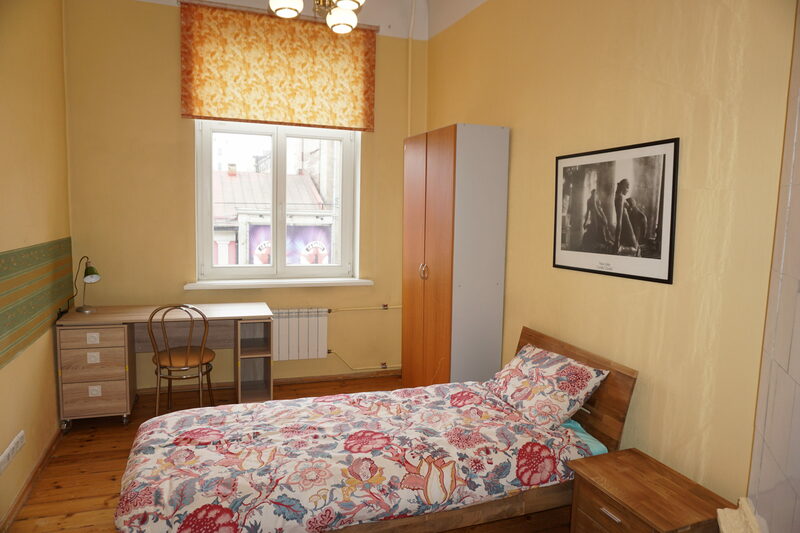 Located in the heart of Riga city centre at Brivibas street Nr. 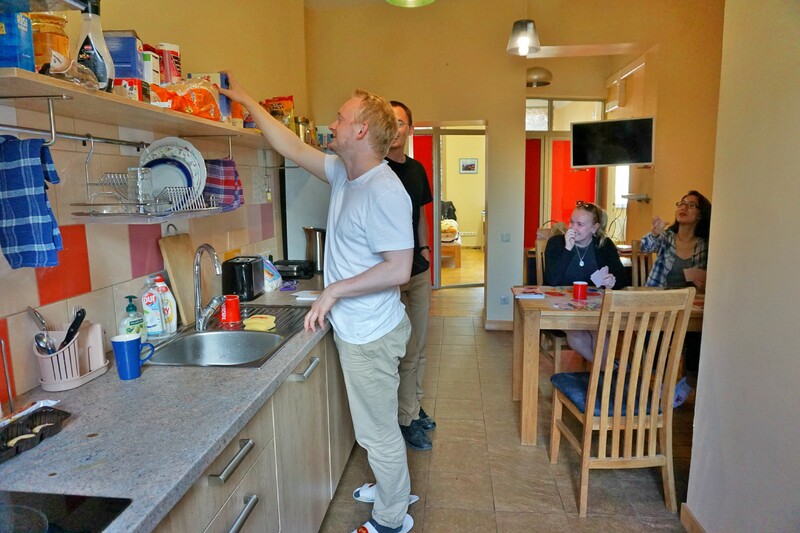 93, the Shared Flat offers the best of accommodation facilities for your comfortable stay. After the recent renovation it’s in the best shape it has ever been! There you will find modern interior, with wooden floors and new furniture, decorated with simple functionality providing a comfortable atmosphere. You will have an excellent living environment to help you focus on studies and relax after classes or exciting excursions. The landlady takes care of the cleaning and changes bed linens once a week. For this reason, you can fully relax during your stay. 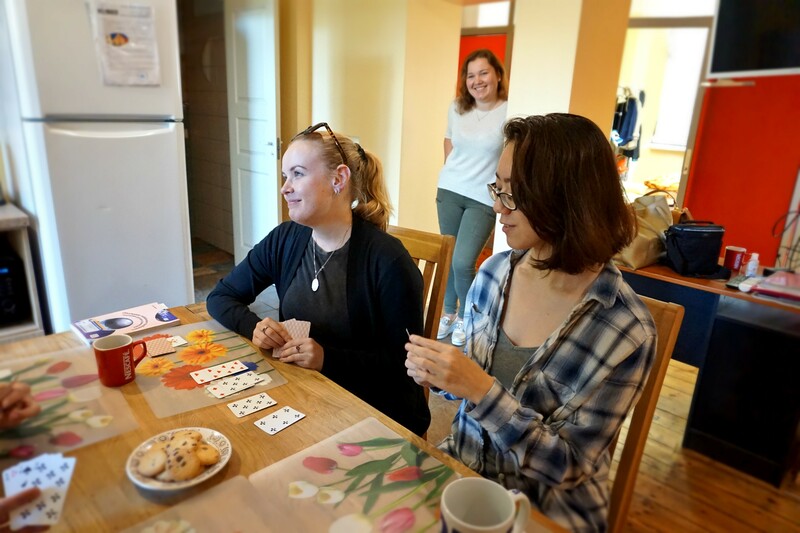 Thanks to the convenient location, the Shared flat accommodation is just a 15-20 minutes walk from Russian Language Academy Durbe or a short (7-8 minute long) bus ride. The closest bus and trolleybus stop is mere 50m away from the flat building’s entrance. Therefore you can easily take any of the buses Nr. 3, 16, 21, 40, or trolleybus Nr. 17 to reach the academy in just 3 stops. 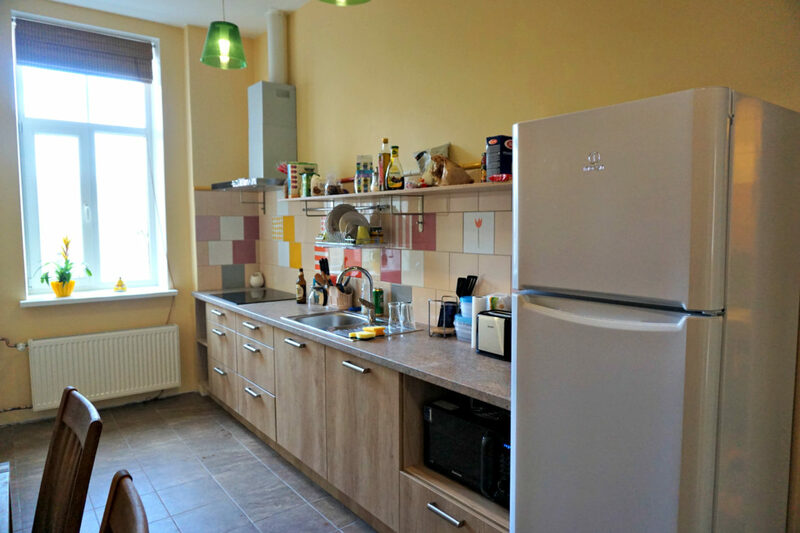 The security deposit of 200 EUR has to be paid at least 5 days before your arrival. For a hassle-free process, a secure payment link will be sent to you to make an online payment by a credit card (please make sure you have valid Visa or Mastercard). The deposit will be paid back to you within 5 working days after your departure if after the inspection there are no damages left in the accommodation premises. Standard accommodation is from Sunday to Sunday. For a complimentary arrival transfer please book your arrival flight between 12:00 and 22:00 for Sunday. For late arrivals transfer fee of 40 EUR applies. Please note that departures must be scheduled for Sunday before 12:00 PM. If you wish to arrive earlier or depart later than Sunday, a full week’s rate is charged for the extra night. 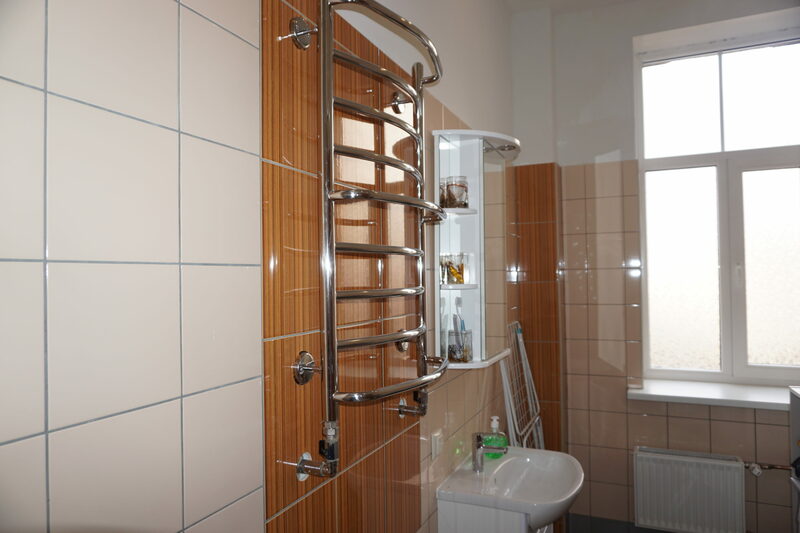 The flat has central city heating, as well as hot and cold water. Thus please pay attention that the school is not responsible and does not compensate expenses in case the water/heating is turned off by the house-manager due to technical reasons.